Don’t underestimated the value of being consistent. Brand consistency leads to familiarity, and familiarity leads to trust. Being consistent across your company name, logo, website, marketing materials and social media platform will give your business more creditably & more customers in the long run. Consistent branding strengthens your brand voice and communicates quality to the public. Let Arrogant Images help you maintain brand consistency. Email us at info@arrogantimages.com to get started. Discount pricing for either package or save more when you bundle both. 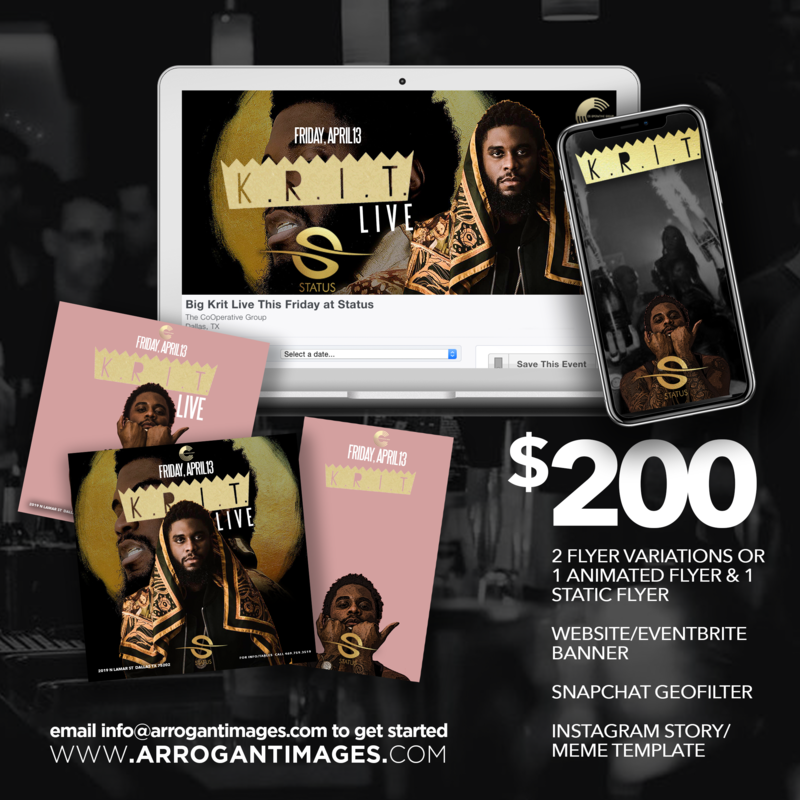 Email arrogantimages@gmail.com to get started.